cira 1771-1800 AD; Piraino, Sicily. Photo provided by Dario Piombino-Mascali. 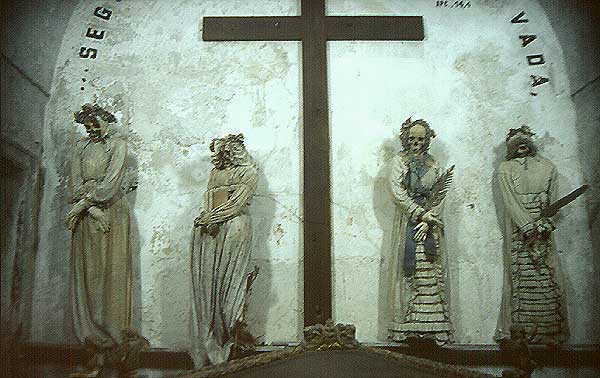 S. Marco d Alunzio, Sicily, Crypt. 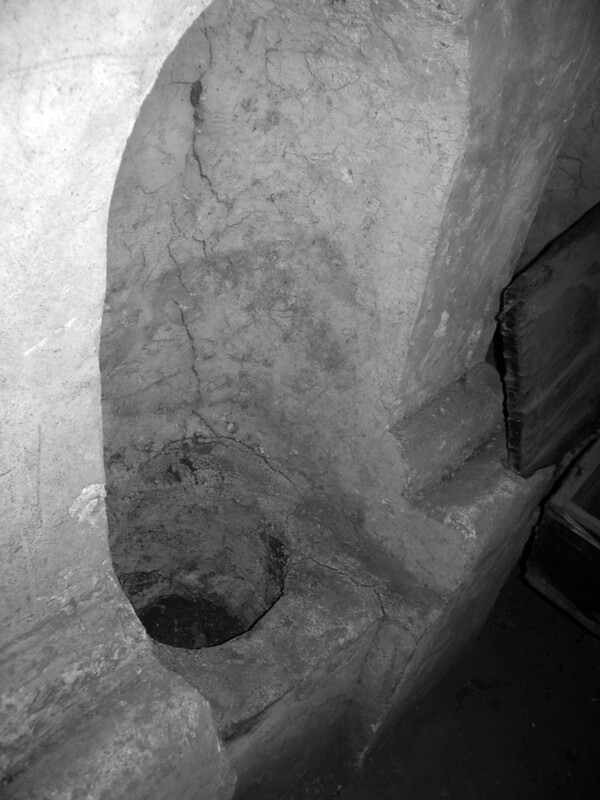 Dehydration niche in which the body of the deceased was seated. 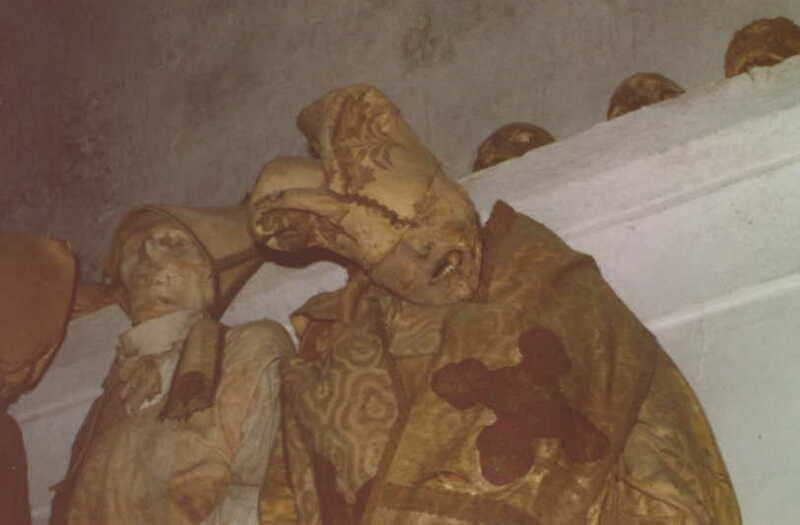 S. Marco d Alunzio, Sicily, crypt; 1722 AD. 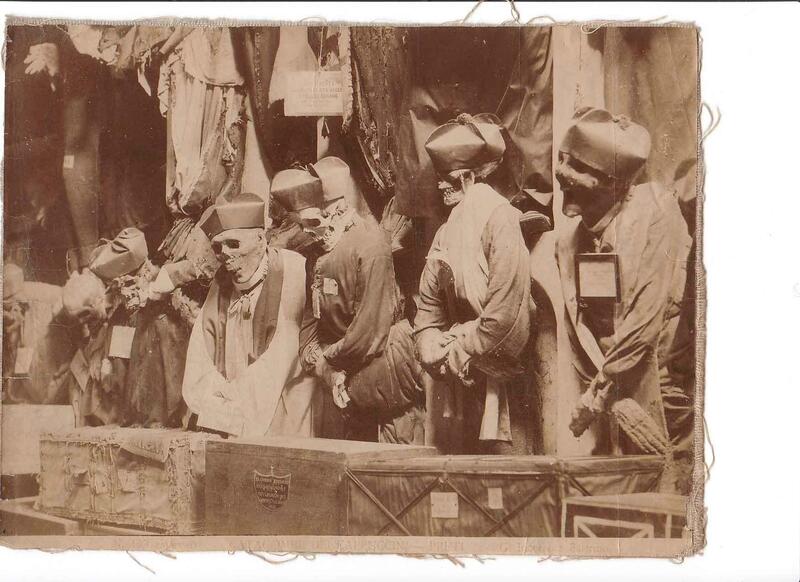 The bodies are dressed in nineteenth century clothes. Photo provided by NL of Greece. Welcome! 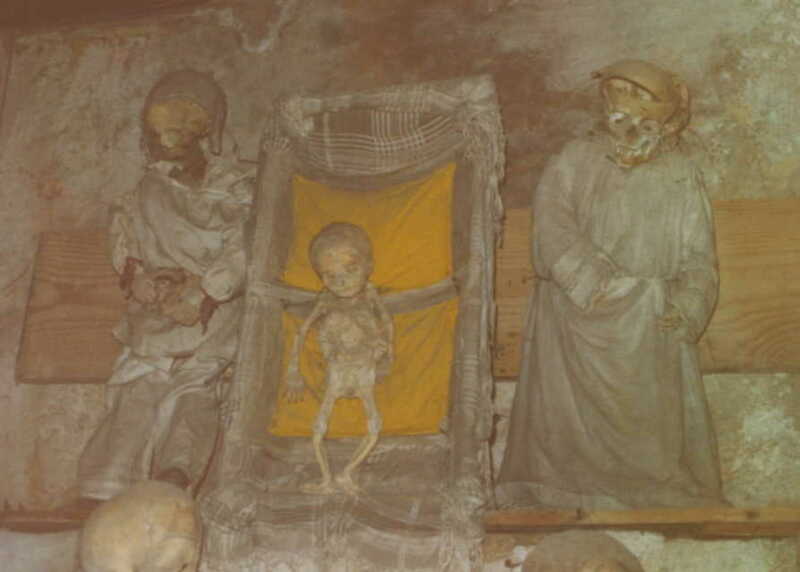 This is a photographic trip to the Capuchins' Catacombs located in Palermo, Italy, where there are thousands of corpses lined on the walls like paintings. 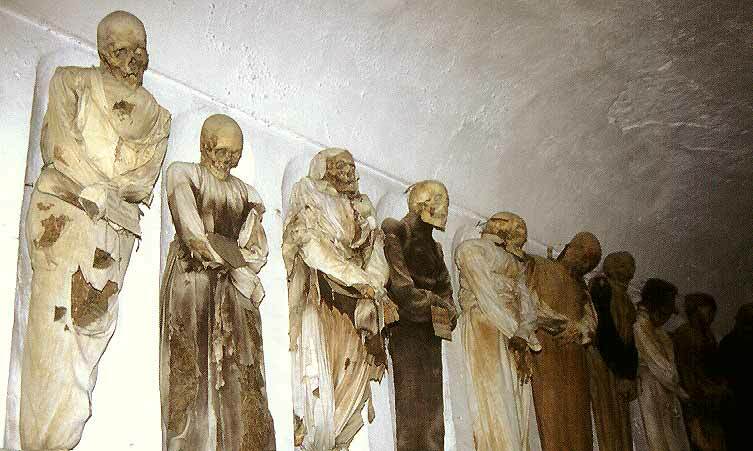 The catacombs date back to the 1599 when the local priests mummified a holy monk for all to see. 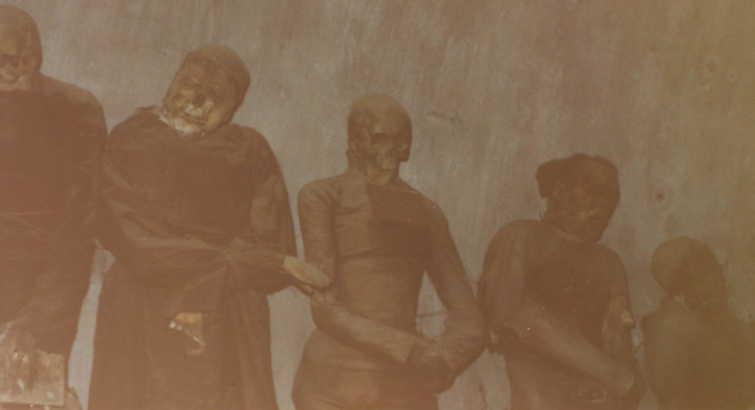 They wanted to pray to him after death. In time the locals wanted their relatives remembered in this same way. 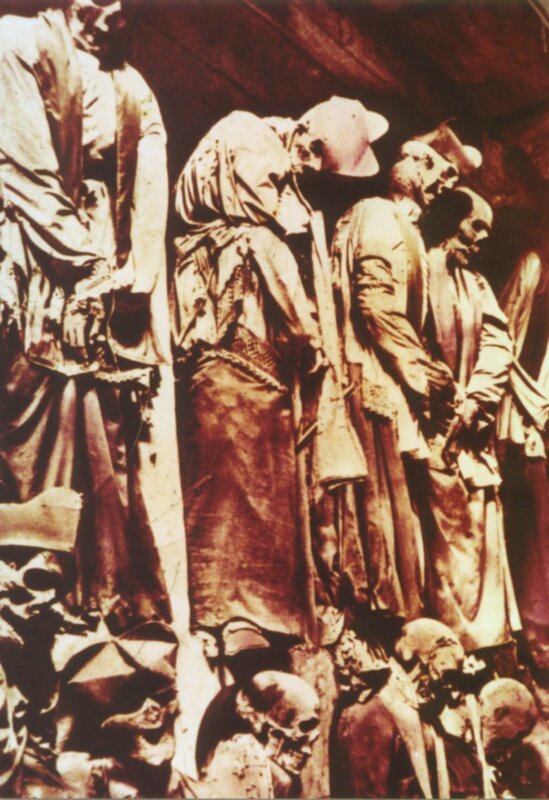 Soon there were hundreds of corpses. Some of the deceased wrote wills, expressing the clothes in which to bury them in. Some asked to have their clothes changed over a period of time. 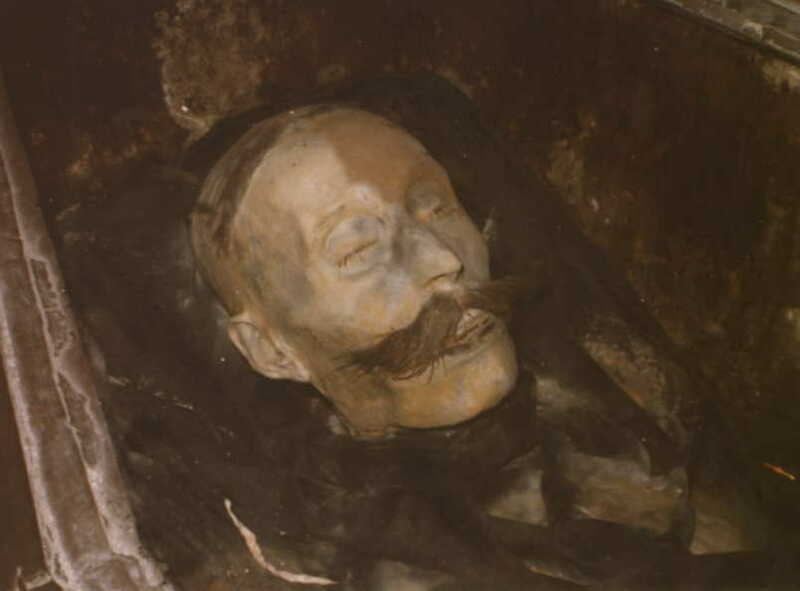 Included in the catacombs are hundreds of coffins as well. Some contain the corpse that was buried in them. 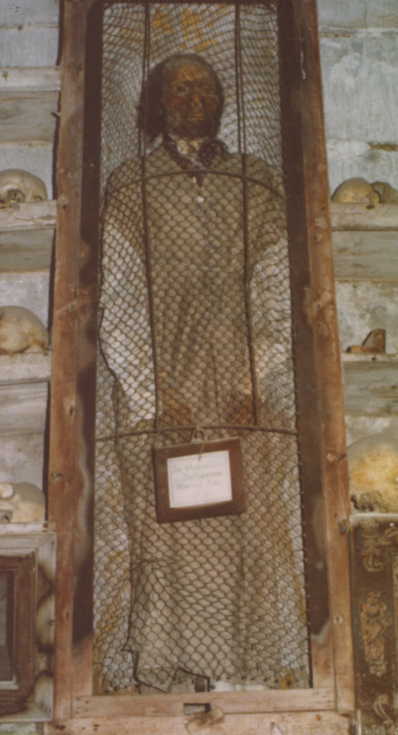 The side is sometimes cut to expose the deceased. 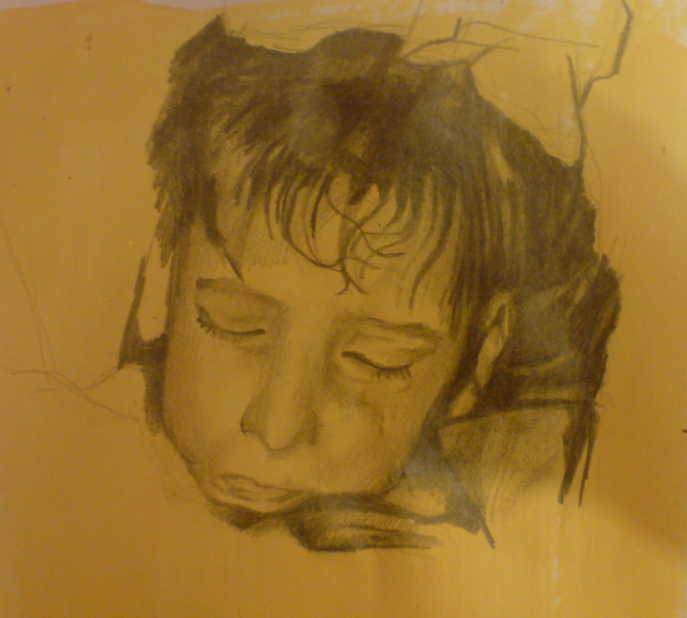 Children are sometimes posed. Two are seated together in a small rocking chair. 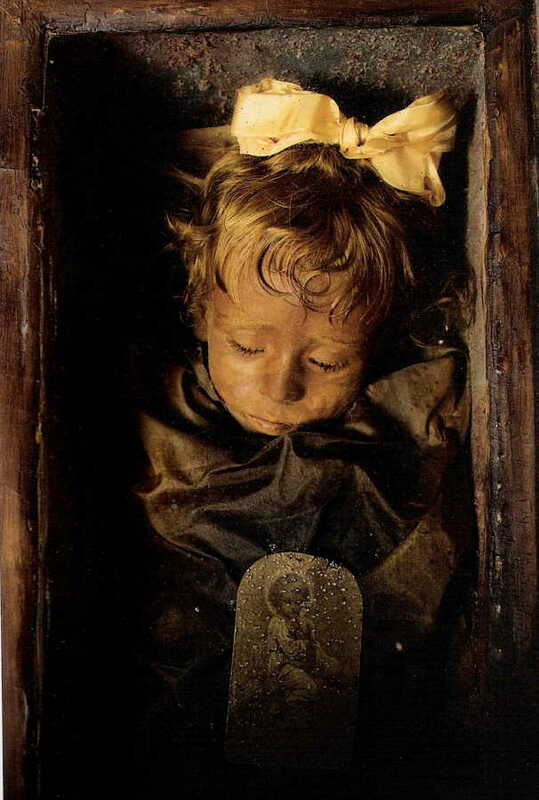 Rosalia Lombardo was one of the last corpses to make it to the catacombs before the local authorities discontinued the practice. 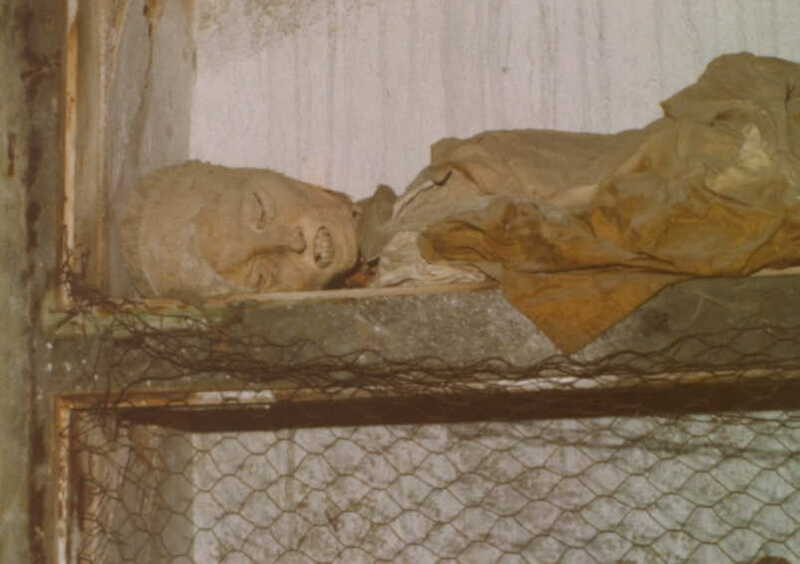 She was embalmed by Alfredo Salafia. Rosalia died 6 December 1920 of pneumonia, perhaps brought on by the Spanish Flu, and is nicknamed the "Sleeping Beauty". Her father was General Lombardo. 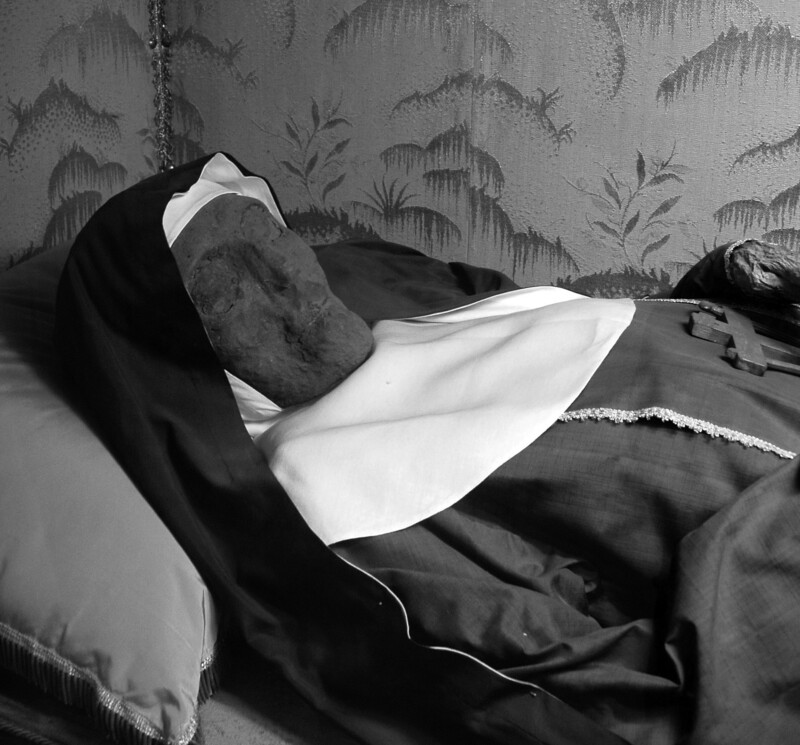 It was said that her sister and family visited her coffin often after her death. 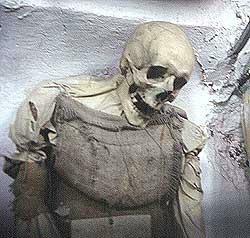 Some of the corpses have long ago lost their flesh and are skeletons. 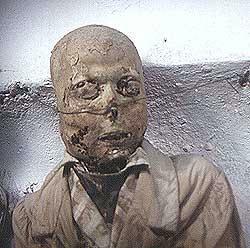 Others have mummified flesh, hair and even eyes! All are dressed in clothes from the period in which they lived. 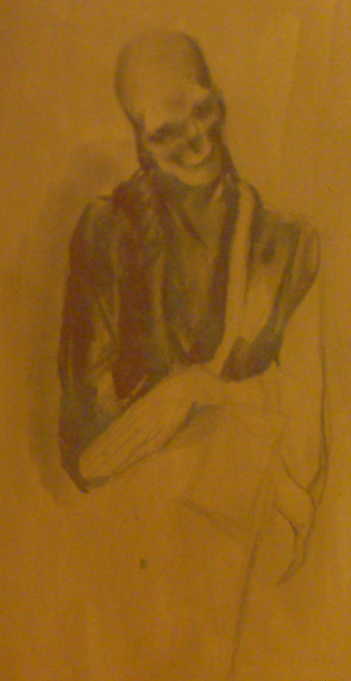 One such example is of Colonel Enea DiGiuliano. He is still wearing his 1800's French Bourbon uniform. Several of the corpses seem to be "screaming" from the dead. 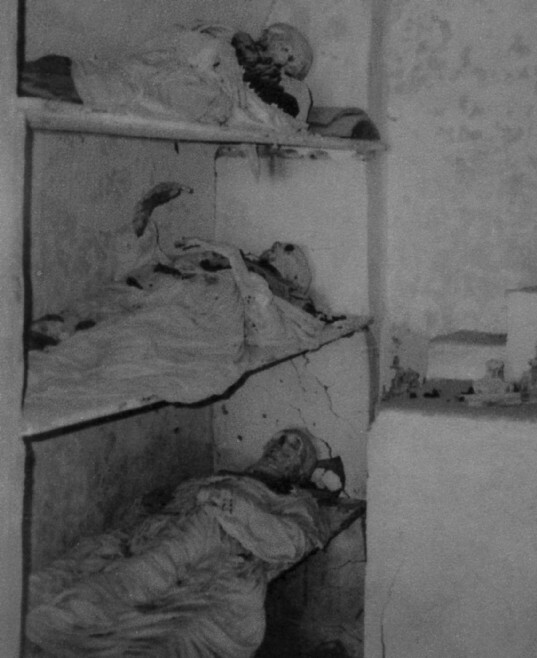 Time and gravity have distorted the corpses to look this way. It is very creepy! 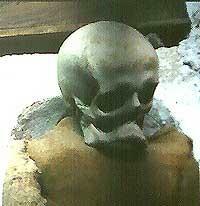 Some have body parts which have fallen off over the years such as hands, jaws, parts of the skull, etc. 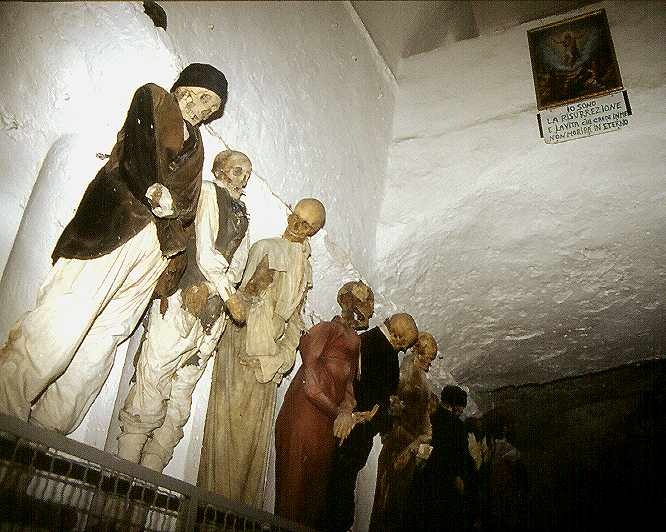 Upon entering the catacombs, one might think that the smell would be terrible, or at least musty. Yet, there was no trace of any odor. 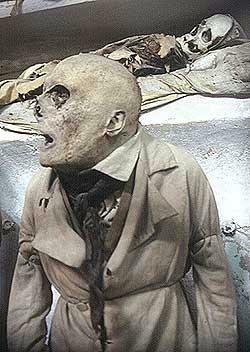 Many of the corpses were close enough to touch, if you were so inclined. 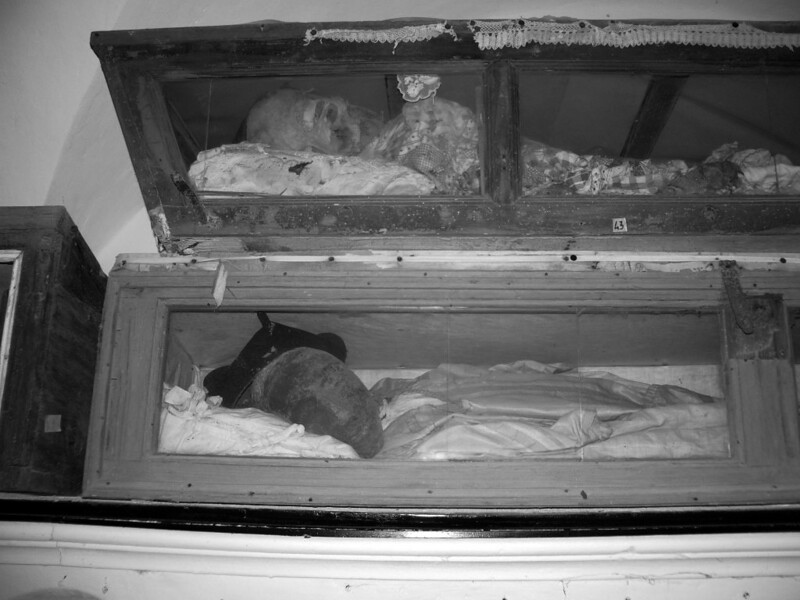 The method for embalming Rosalia Lombardo was invented by Dr. Solafia, a doctor in Palermo, who took the secret with him when he died. It is only known that it was based on injections of chemicals and nothing else. 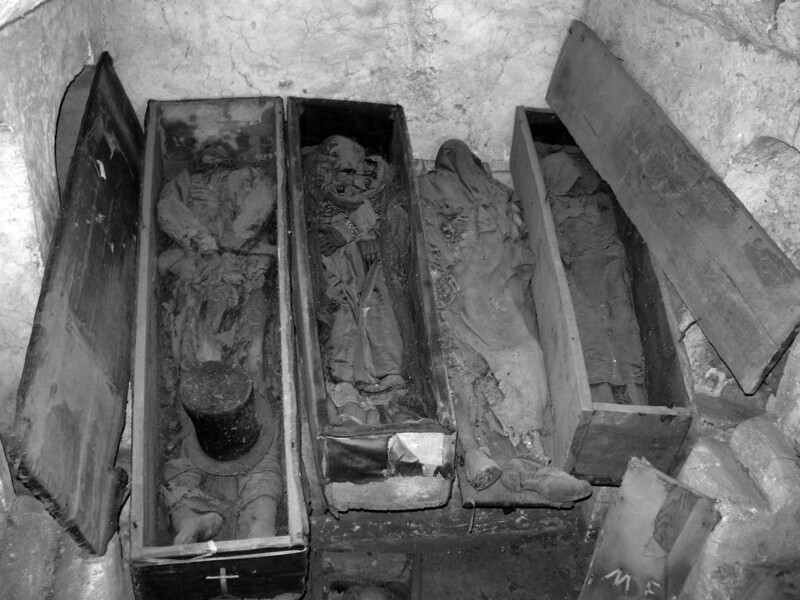 A second method used was that of dipping the bodies in arsenic or lime. 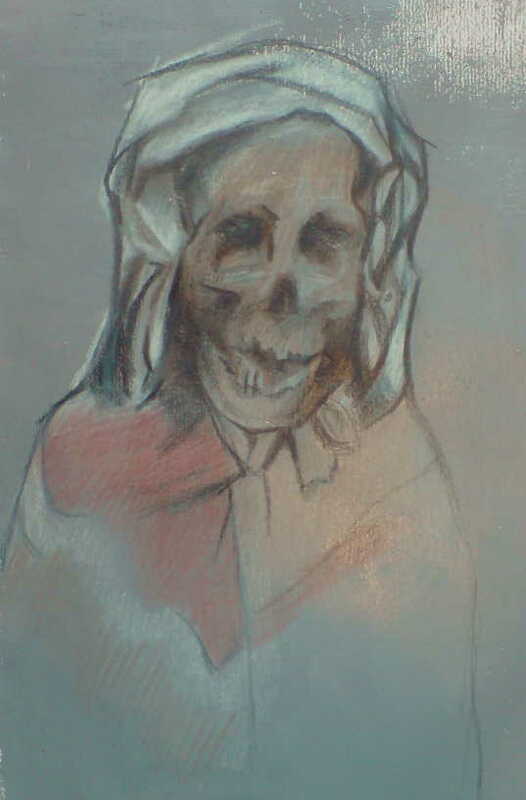 This was done espceially during periods of epidemics. 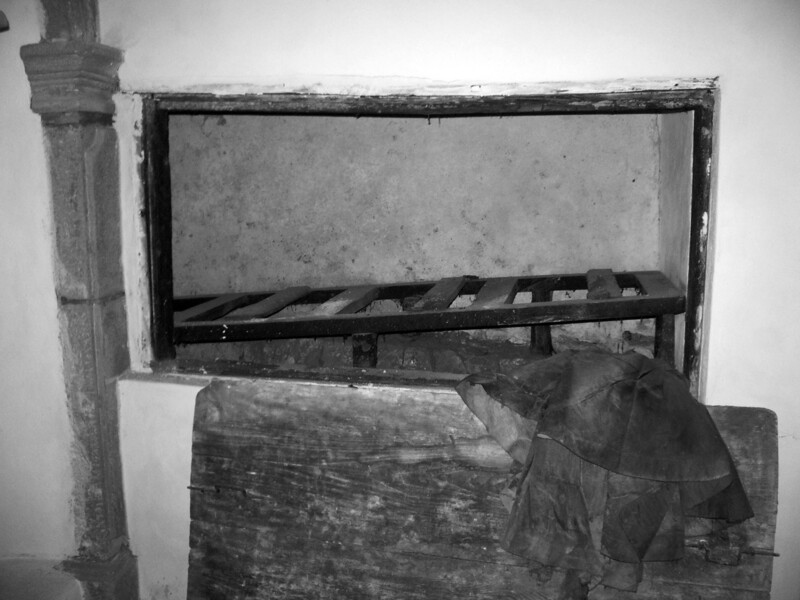 The most common method used was that of dehydration by placing the bodies in cells, situated along the passageways. These cells were called "strainers", and look like a BBQ pit. 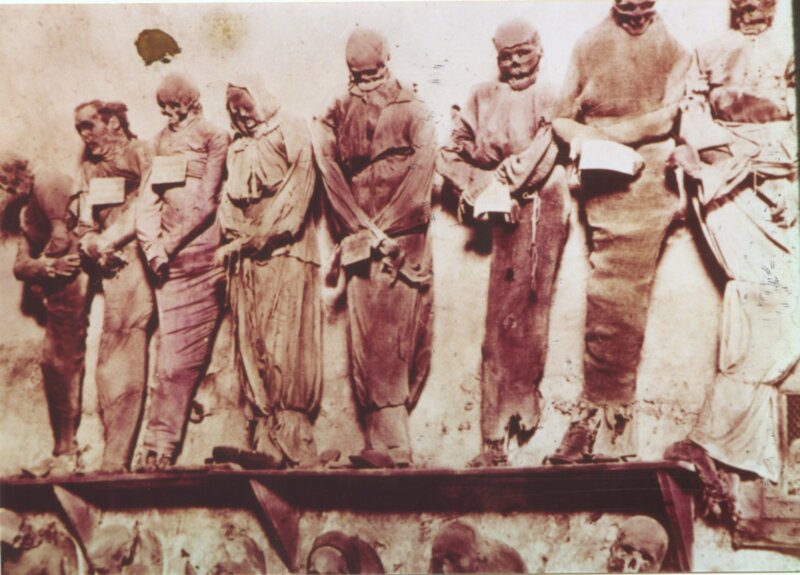 The bodies were dried in the cells for about eight months then taken out and washed in vinegar before being exposed to the fresh air. 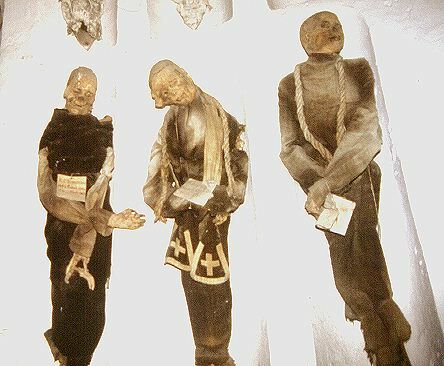 They were dressed and put in niches, coffins, or on the walls, as instructed by the person while still alive or by relatives after death. 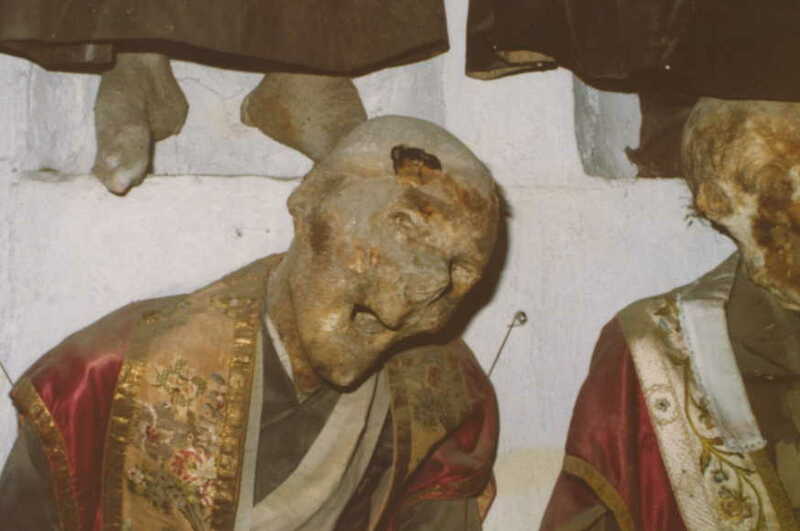 Monks are buried in the clothes they wore in life. They sometimes have ropes, dangling from their necks. 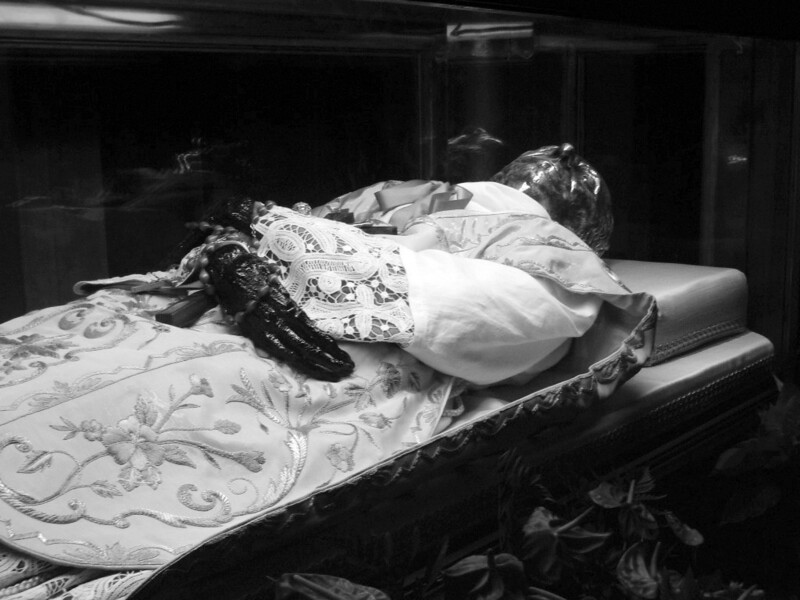 The ropes were worn by the monks, in life, as a penance. They remain with them in death. 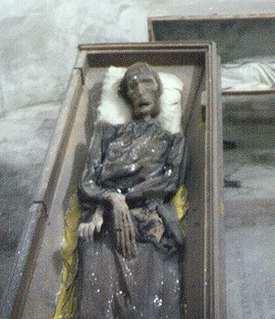 The first monk, and the oldest corpse, is that of Brother Silvestro from Gubbio who died in 1599. 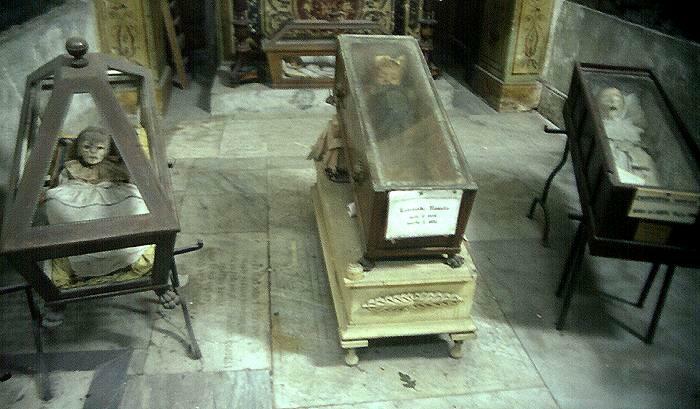 The last monk interred here was Brother Riccardo of Palermo, who died in 1871. The halls are divided into catagories: Men, Women, Virgins, Children, Priests, Monks, and Professionals. The Professionals Hall includes at least one American, writers, lawyers, priests, and others. 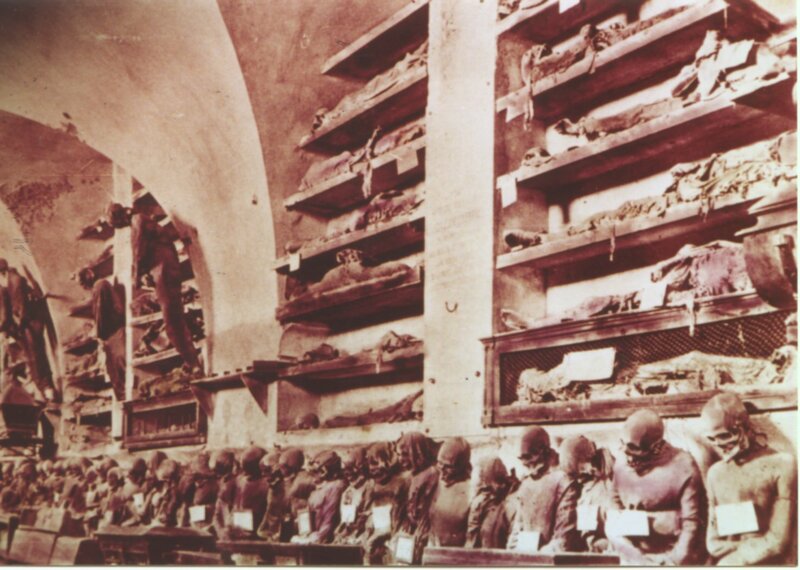 The Professors' section contains the bodies of professors, doctors, lawyers, painters, officers and soldiers of the Bourbon and Italian army. Among the famous names are those of the painter Velasquez, the sculptors Filippo Pennino and Lorenzo Marabitti and the surgeon Salvatore Manzella. 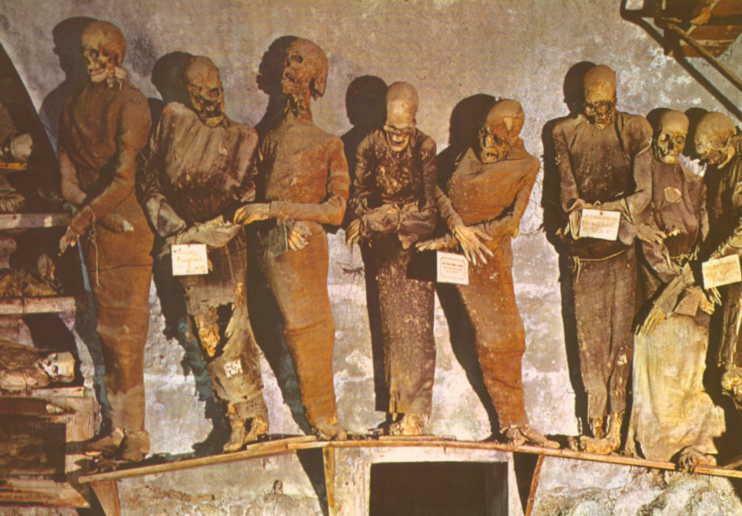 The catacombs are located in Palermo, Sicily. Visiting hours are from 9 a.m. - 12 noon, and 3:30 p.m. - 5:30 p.m. 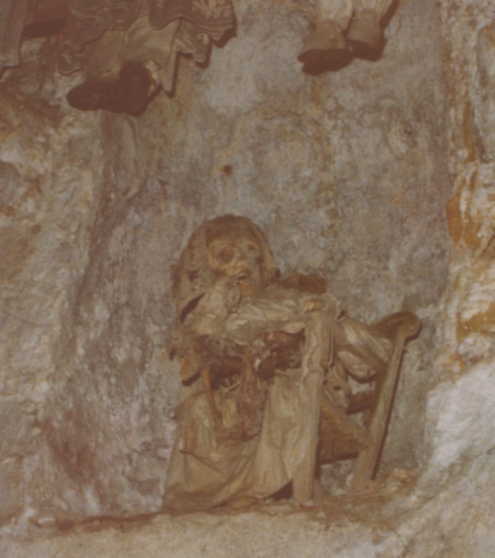 The visitor who, from the center of the town, is making for Monreale, passes through "Porta Nuova" and at the crossroads between Via Pindemonte and Corso Calatafimi will see a sign indicating "The Capuchin Catacombs." 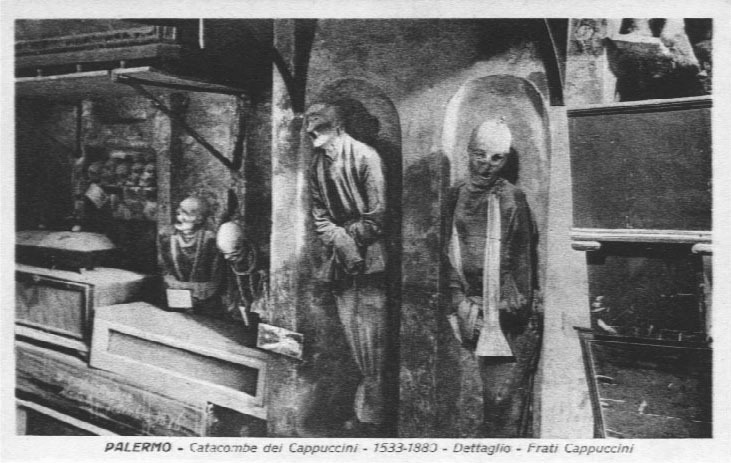 Following Via Pindemonte, the visitor will find himself in Piazza Cappuccini, where the entrance to the Catacombes is. 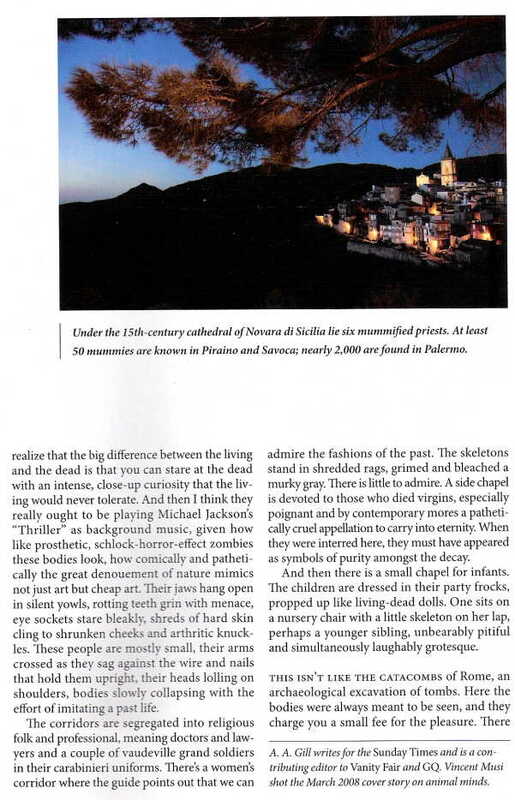 "Historic News on the Church and Catacombes of the Capuchin Monks of Palermo". 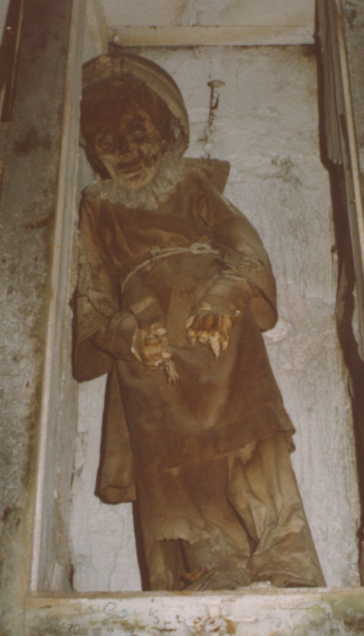 Additionally, this unusual place was written about by Ippolito Pindemonte, who visited them on 2 November 1777, and was inspired to write his poem "The Sepulchres". For this reason, the Mayor of Palermo dedicated to him, the street which goes from Corso Calatafimi to the convent and the Catacombes. "Besides increasing awareness of hygiene issues, there is a social/historical context, re: changes attitudes towards mortality. I believe the impact of the First World War and the subsequent influenza outbreak, with the deaths of many thousands of people in a short space of time, was a factor. It seems to coincide with the period in which prolonged wearing of mourning and the custom of mourning jewellery, which often incorporating the deceased's hair, also fell from favour here in the UK. The increasing speed of modern, mechanised life, combined with the post-war attitude that life was to be seized for the moment, militated against the slow rituals of death. 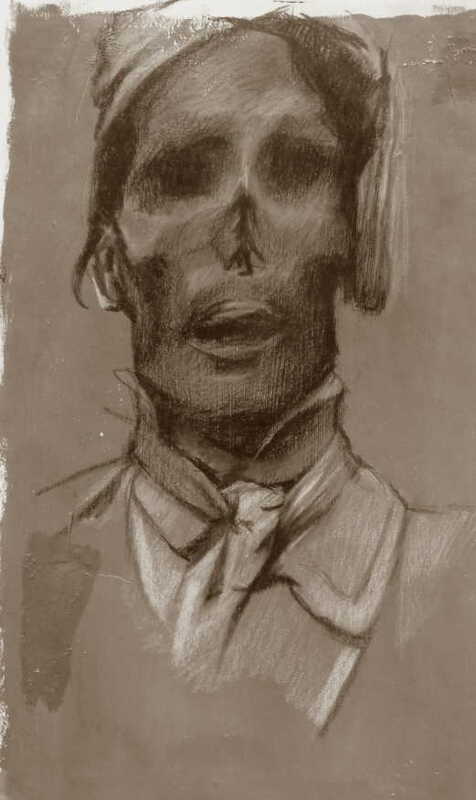 Too many people had suffered multiple bereavements in the 1914-19 period to make adherence to traditional modes of mourning practical, and for a traumatised continent, the youth culture and modernity of the 1920s was something of an antidote. Read Philippe Aries & c."
Michelle Beissel recently sent in some information on a French film called, Bejart, vous avez dit Bejart. This DVD was released on May 25, 2005 and can be purchased on the internet, in English or French. 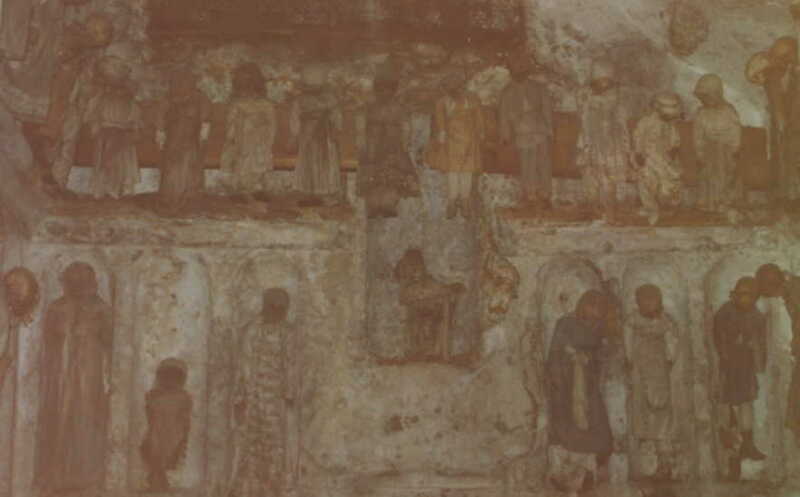 "Enfin, Maurice Bjart nous parle de ses cr�ations, Palerme, dans les catacombes aux 8000 momies. Cest loccasion pour lui dvoquer son rapport avec la mort, qui la suivi tout au long de sa vie et de prsenter sa vision des contes dOffenbach." 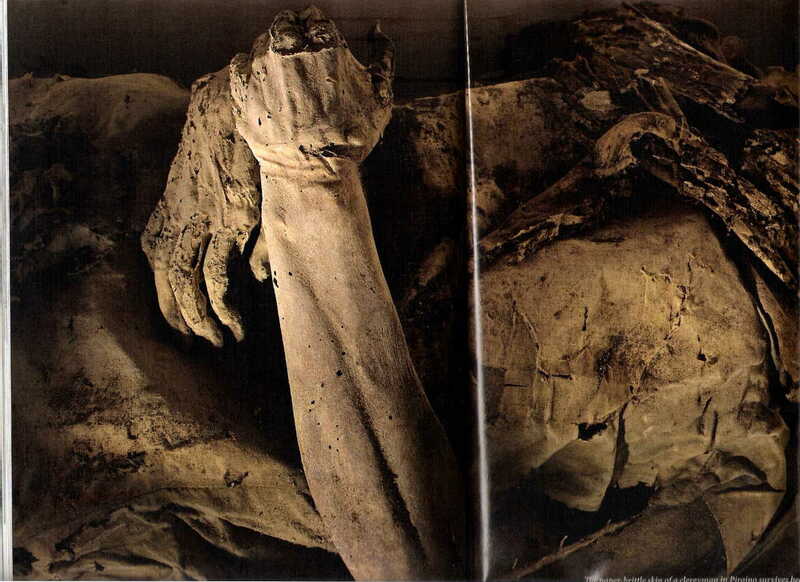 Translated: "Finally, Maurice Bejart speaks of his ballets, in Palerme, within the catacombes containing 8000 mummies. 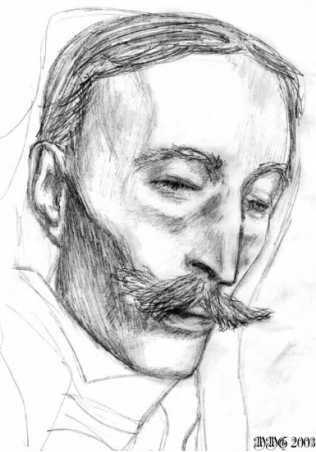 It is the occasion for him to reveal his personal involvement with death which has followed him all his life and how he presents his vision of death in the tales of Offenbach." 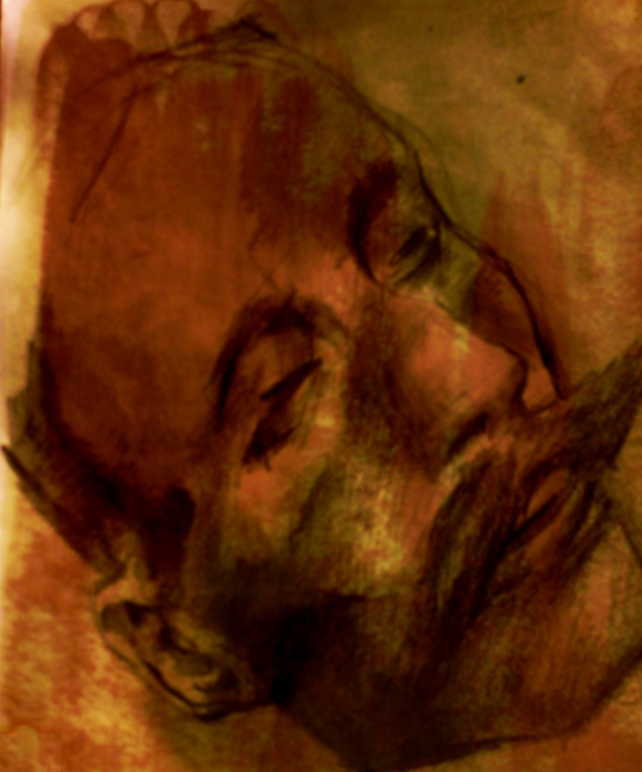 Michelle Beissel also adds: "It seems that it is not a specific ballet that was inspired by the catacombs, but it is Bejart's 'obsession' with death which has inspired many of his numerous ballets, and which most likely drawn him to visiting the Capuchins Catacombs. That is my conclusion after doing some research." 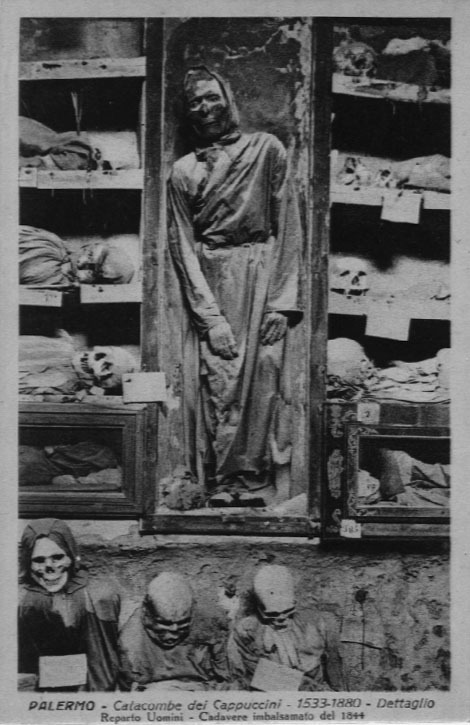 Dario Piombino-Mascali, a Palaeopathologist with the University of Pisa, provided several photos seen on this website. 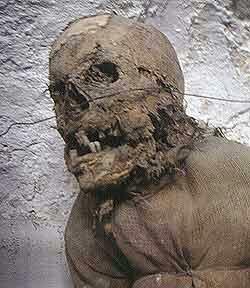 He is attempting to catalogue the mummies of Sicily. A paper of his findings came out in June 2006. 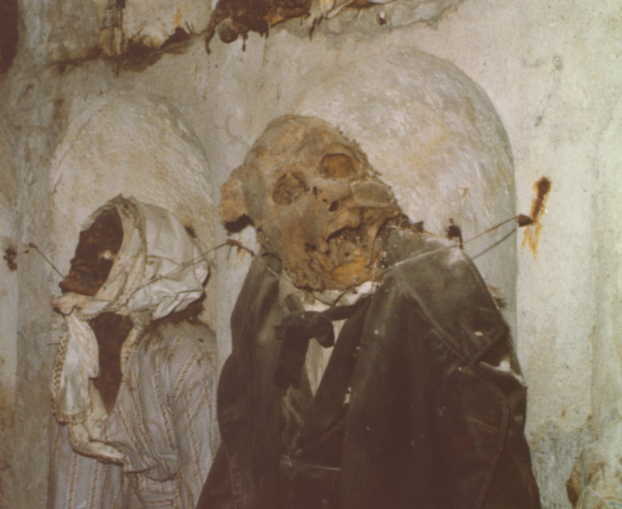 "Thirty one years ago I (and a fellow sailor) were locked in these catacombs for over an hour by mistake. 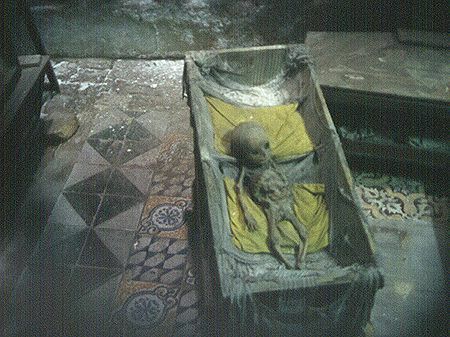 It was typical Italian siesta time. We shouted and screamed for the locked gate to be opened. No one heard, so we proceeded to take an extended tour. I ended up spending my entire 3 year tour in Sicily, and marrying a Sicilian to boot. I returned to Sicily once I left the service, and as a government employee and stayed 6 more years. I tried to explain my experience over the years, but with no camera it was difficult to describe. Your site has enabled me to share the feelings. I can still sense the musty old damp odors." 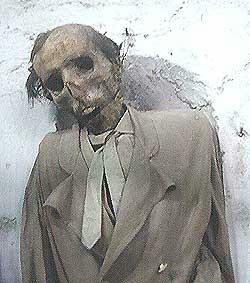 "I spent time in the catacombs in the fifties. I was attached to VA-35 and we spent some time at the base while on a MED cruise. I will never forget the hours spent down there. We went in thru a church and they pulled the alter back reveling a lighted staircase. 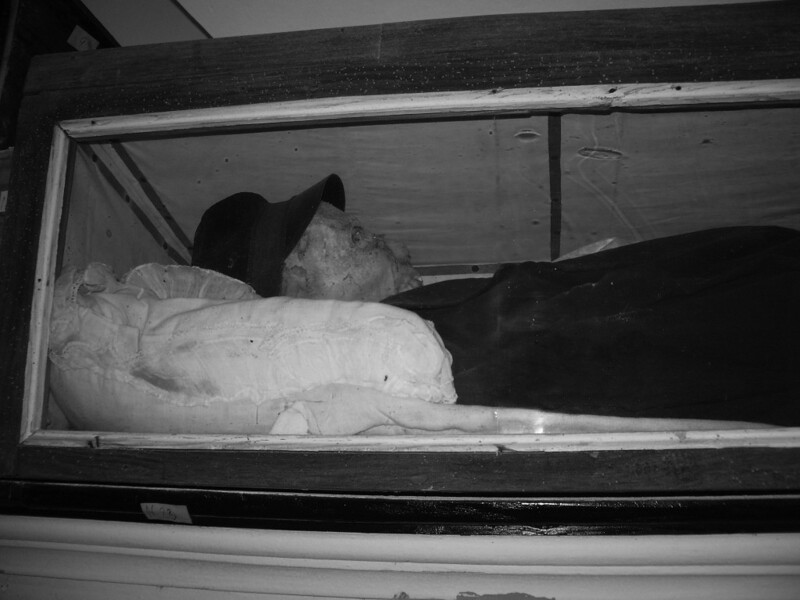 At the bottom was a glass coffin with a beautiful young lady in it. (Editor's note: Probably the Rosalia child). Then we walked by ourselves thru all the hallways.I saw a lot of what you show but don't recall any being dressed in ties. Don't know if they added the clothes or the body's since the fifties. I do remember a couple embraced in a coffin together, which I don' t think was mentioned. Yes, it was a site to remember. We heard a clacking noise and went to check it out. 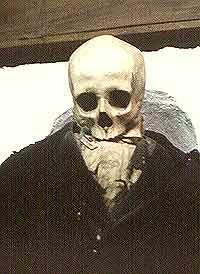 Would you believe, a sailor was using his lighter to try and get some teeth out of a skull for a souvenir." This website has been online since 1998, and updated continually. It was originally put online for sailors of the U.S. Navy. 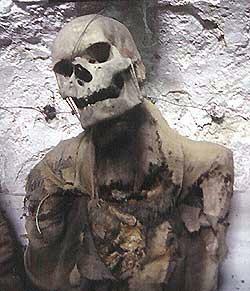 I am a retired Chief Petty Officer in the Navy, and have visited the catacombs 3 times. 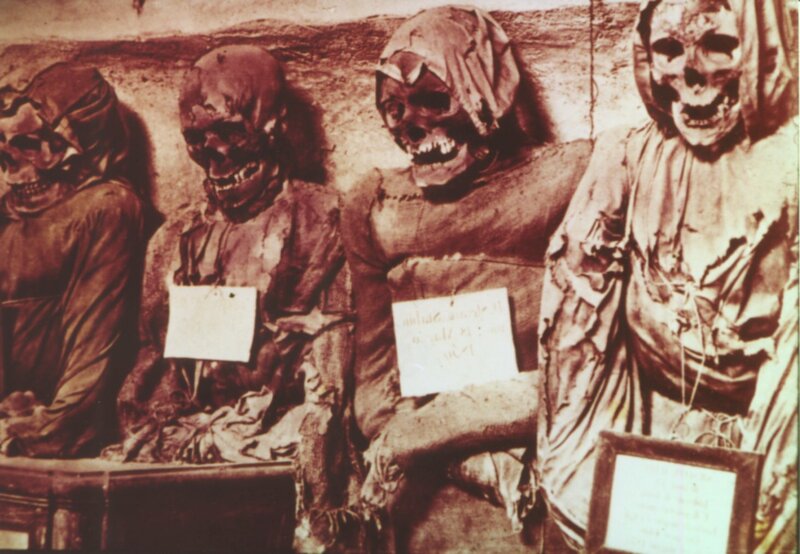 This site was originally created so that anyone stationed on the island of Sicily could have an idea of what the catacombs of Palermo are like. Palermo is on the north-western side of Sicily. 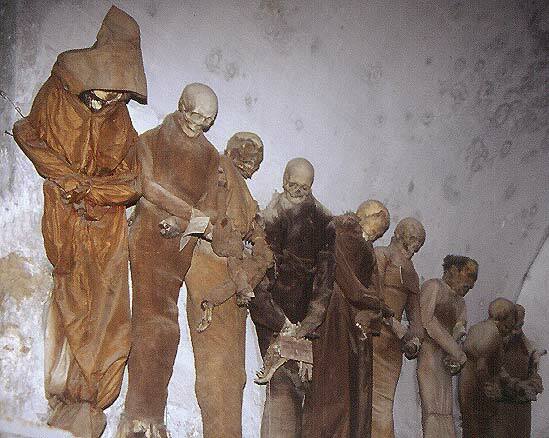 The most unique thing about the catacombs is that these were real people. Not just dead bodies, but people that had lives, families, and careers just like we do. 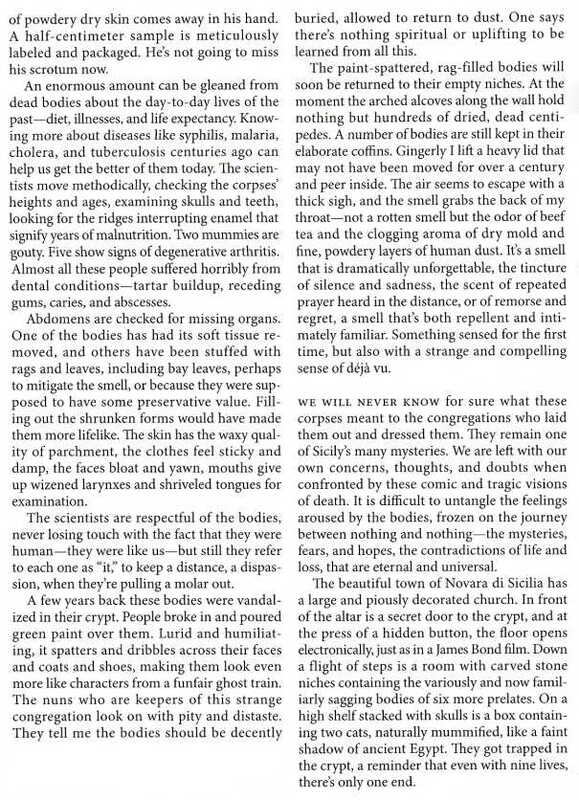 Their bodies remain with us, but their souls have departed to God, and to a better world. In this place you can actually feel that. We have been priviledged to have been contacted by several TV producers, authors, scientists, doctors, and others. Anything of value that can be contributed to this website is very welcome. 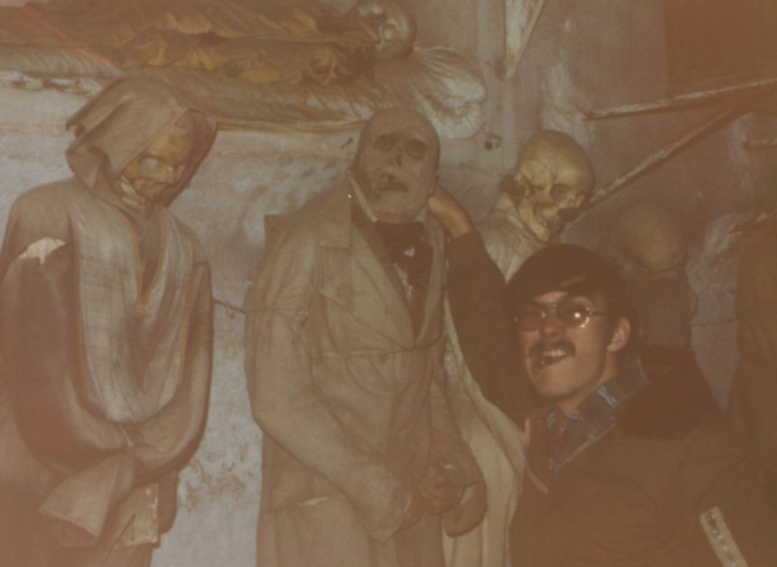 Special thanks to Mike Prenis who sent me 21 photos and postcards from his visit to the catacombs in 1977. Mike was deployed at that time aboard the U.S.S. Josephus Daniels (CG-27) and was an Operations Specialist Second Class. Also special thanks to Nacho Benvenuty who sent me some of the photographs used in this site. 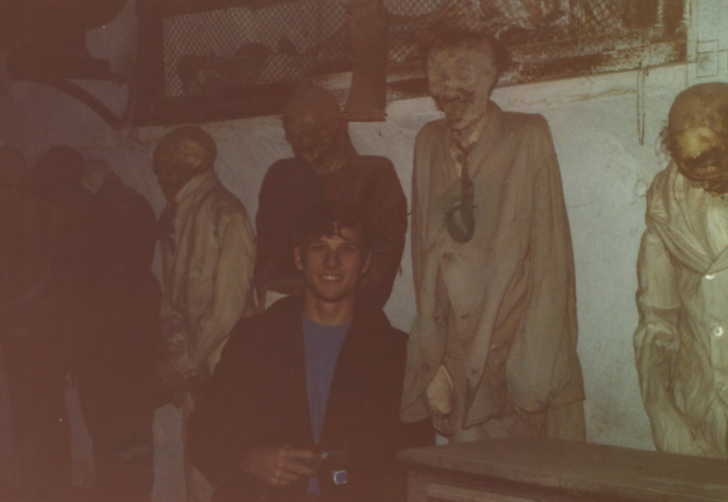 And special thanks to Joe Kinnison, of San Antonio, TX, who sent me 6 pictures he had from his visit to the catacombs back in 1963. 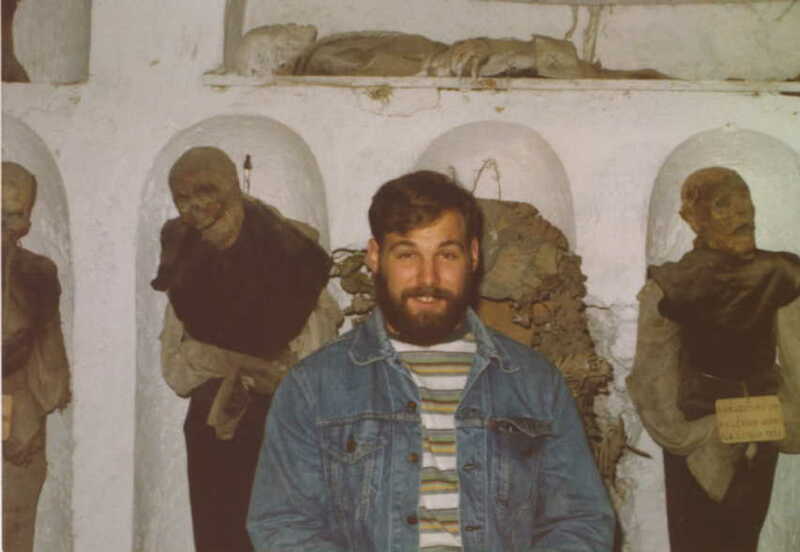 Joe visited the catacombs while serving in the U.S. Navy, onboard the USS Saratoga, CVN-60, as an Aviation Storekeeper E-3. CLICK HERE to visit a website built by Peter Hafele of Germany. 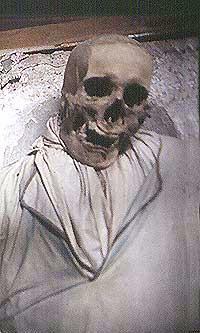 On October 9, 2009, Peter was able to take 200 photos in the catacombs. 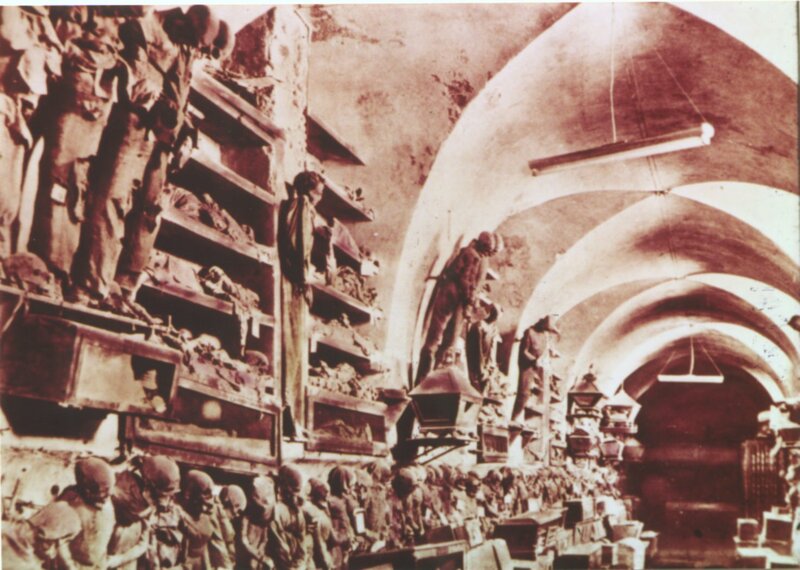 Additionally to read a report on the Catacombs, by Peter, CLICK HERE. 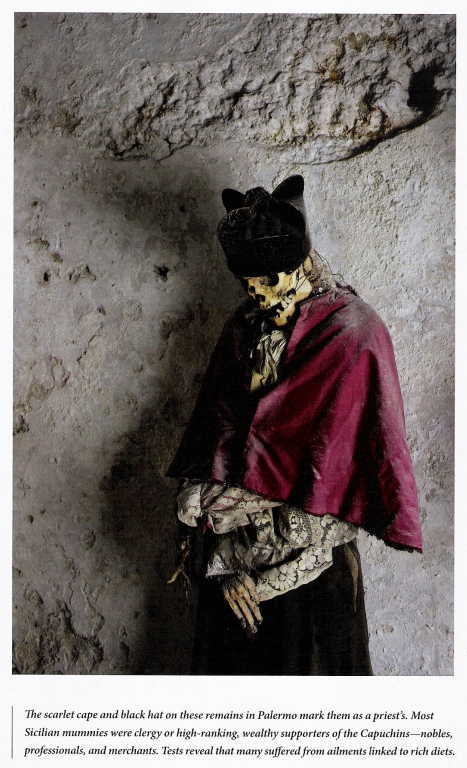 CLICK HERE to see a new book, Burials, by Anne Schraff and Artesian Press, which contains a section on the Capuchen Catacombs. 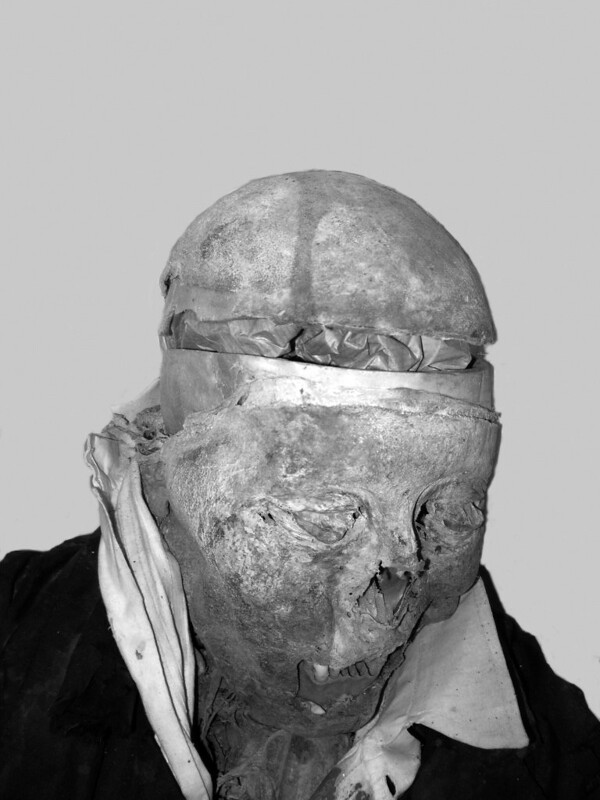 CLICK HERE to view the recent photographic work of Cynthia Karalla, titled, "The Palermo Mummies 2003", that will be exhibited in Palermo through the Franca Prati Gallery. The photographers generously provided this information to the author of this website. 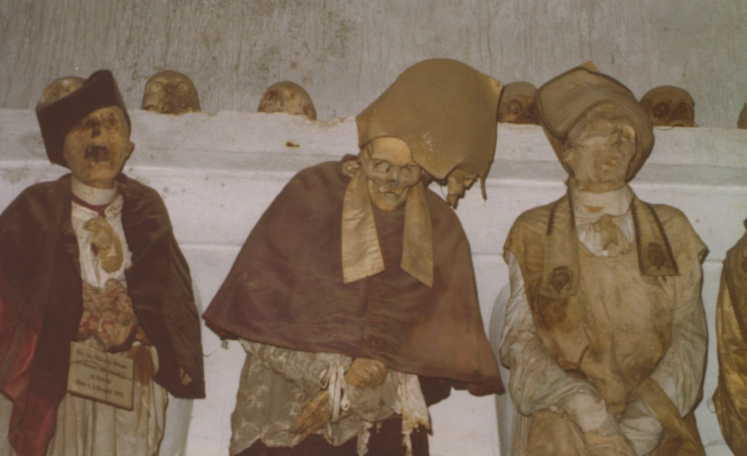 CLICK HERE to go to The Convento dei Cappuccini: Holy Mummies Preserved in Catacombs website developed by Hugo Reinert. Photos provided by this website. 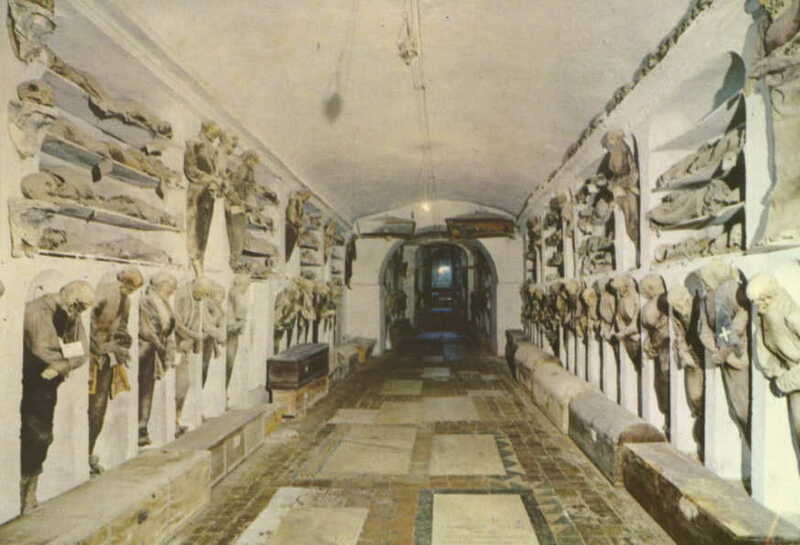 CLICK HERE for an Archaeology Magazine article on the Catacombs by Mr. Bob Brier. Information provided by this website. 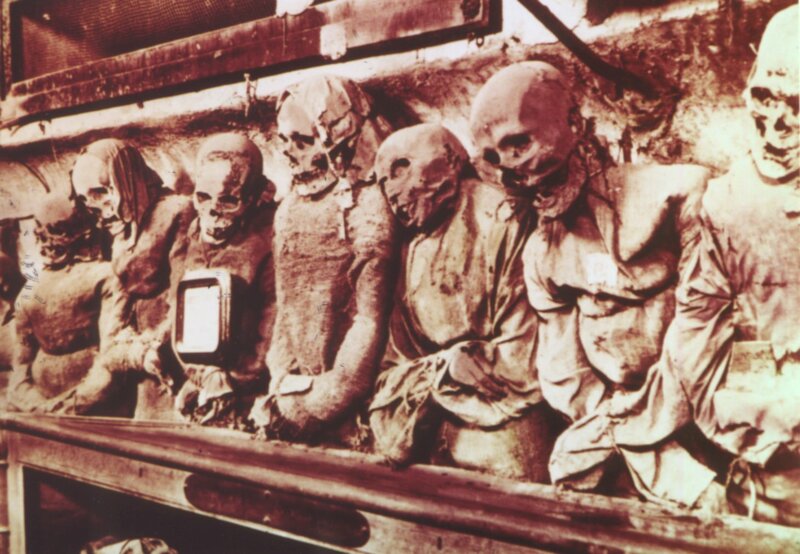 CLICK HERE to see the latest book on the catacombs, The Living Dead: Inside the Palermo Crypt by Marco Lanza and Laura Facchi. The authors generously provided a copy of this book to the author of this website. 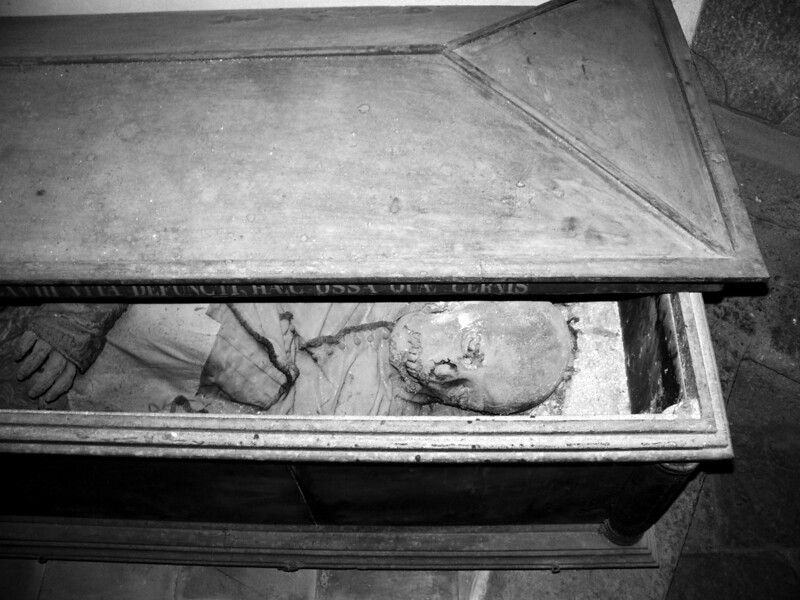 CLICK HERE to see a wonderful children's book on the catacombs (provided by this website), and other mummies around the world. Mummies by John Malam; Kingfisher Knowledge Publishers. 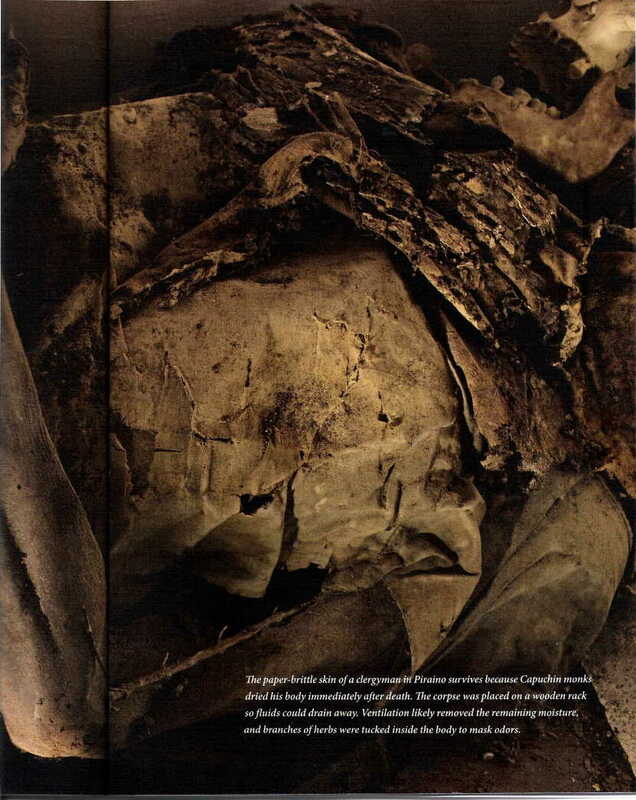 CLICK HERE to see a children's book on the mummies titled, Modern Mummies; 20th Century Wonders and Beyond by John Diedrich; Capstone Press. 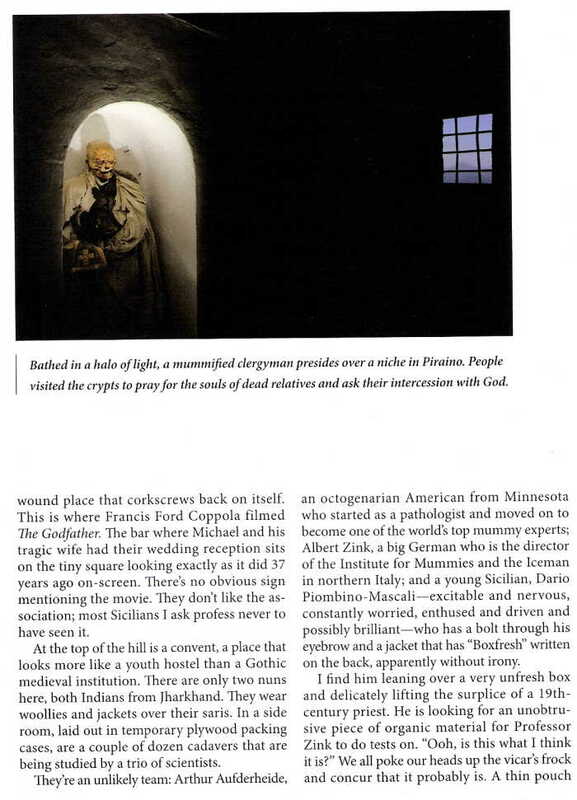 Article on the catacombs in the February 2009 issue of National Geographic magazine. Il Caso "Rosalia Lombardo". La Bella Addormentata di Palermo Video by Dr Dario Piombino-Mascali. 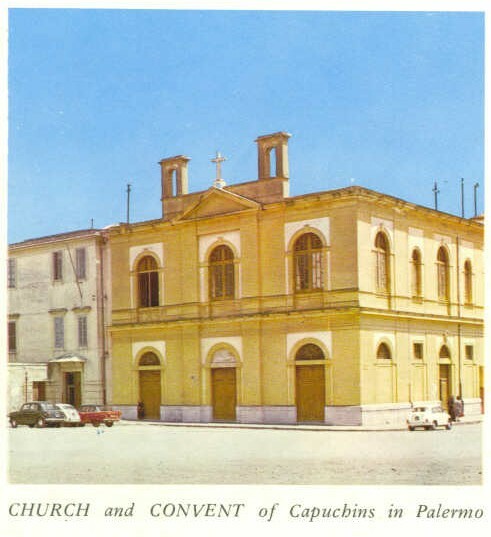 Thanks to the generosity of Alfredo Salafia's relatives, the doctor was able to study his unpublished manuscript in Palermo, and is going to publish it soon. 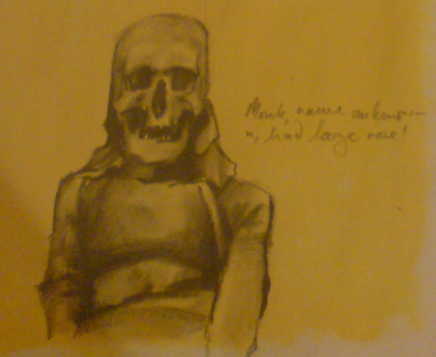 Alfredo Salafia wrote about his embalming formula in the manuscript. German Television Report On The Catacombs Dated March 2010, this video is in German and talks about how moisture is affecting the catacombs. Sent in by Peter Hafele of Germany. 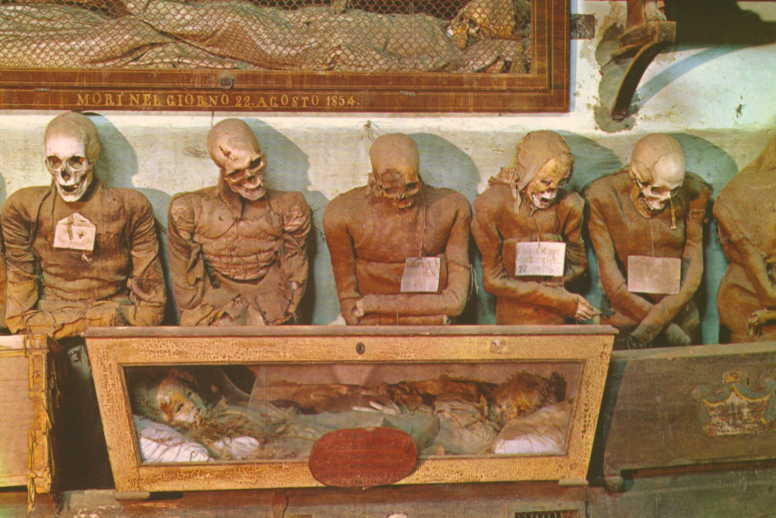 The Salafia Method Rediscovered Dated 10 November 2008, this is a short essay on embalming history in Palermo. 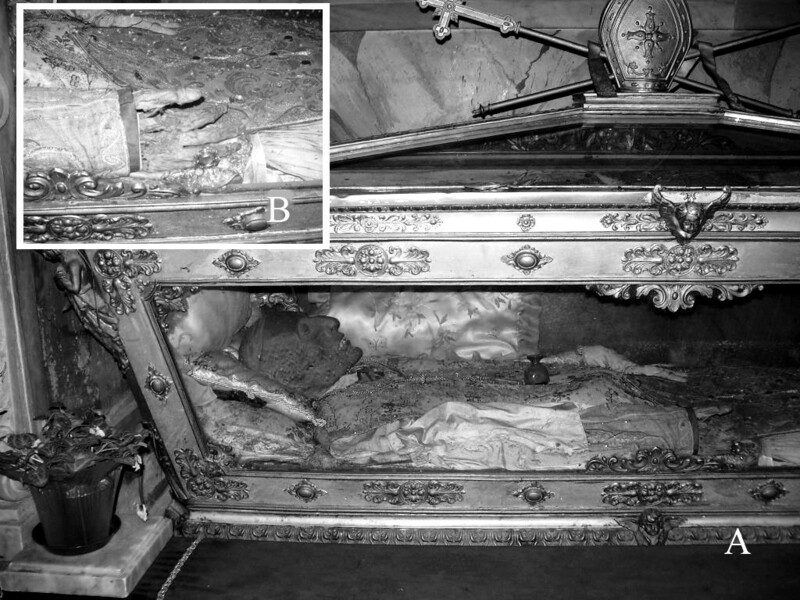 A true source of inspiration, the body of St. Bernadette of Lourdes was exhumed after being buried in a damp grave for 30 years. 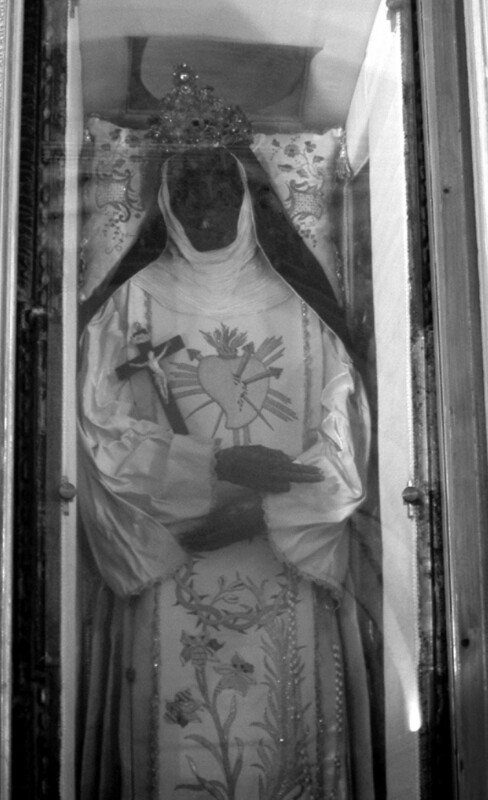 Click on her name above to access a website with beautiful photos of this remarkable Saint. 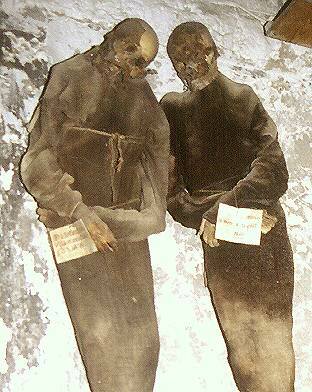 Please read two documents written by Robert Callahan who toured the Catacombs during World War II. 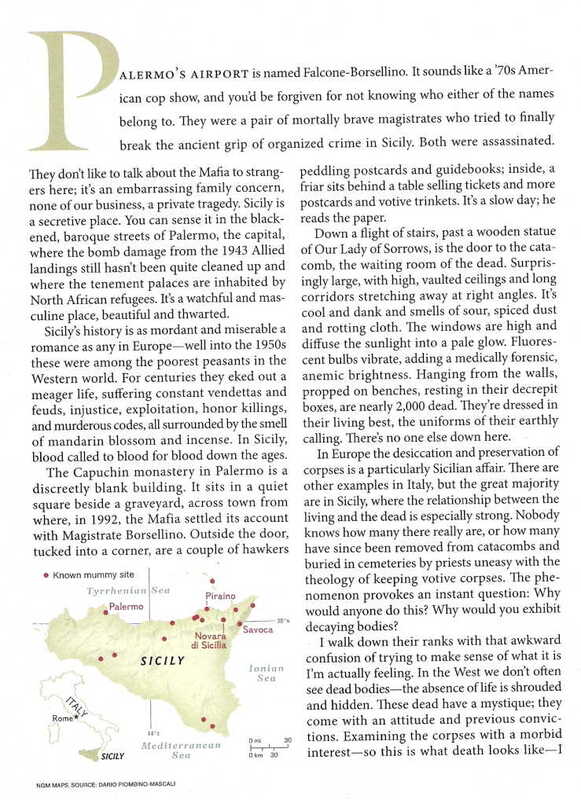 He writes how he toured the catacombs during wartime. 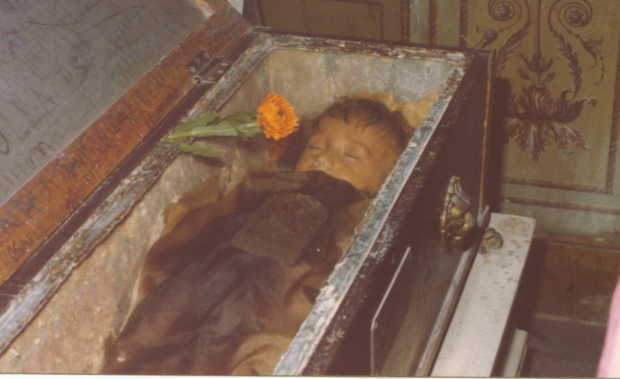 Please click on the link here to view his document on the Rosalia Lombardo Embalming Feat and his document on Sicily In Wartime. These are 2 very interesting documents from someone who was in the area in the 1940's. the Navy Base in Sigonella, Italy. loved ones with them, even after then had passed on. or were writing a book about those interred there. "Did you see Rosalia? Bella." do not disturb her rest. may well be the cause. 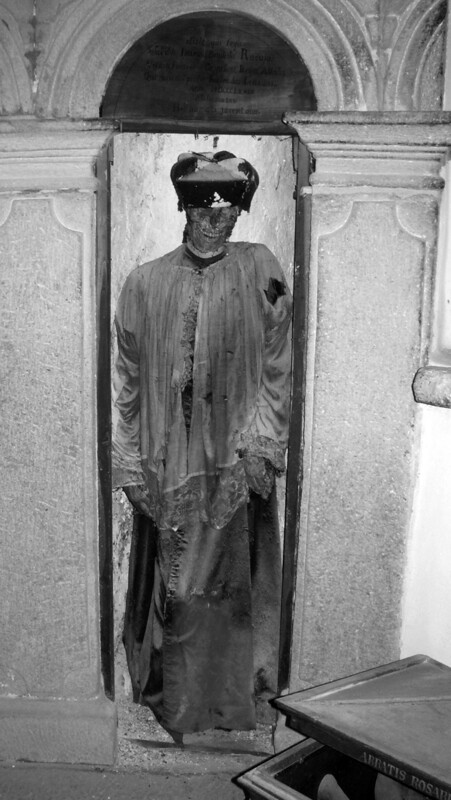 a statue of eerie closeness. You fell asleep a child.